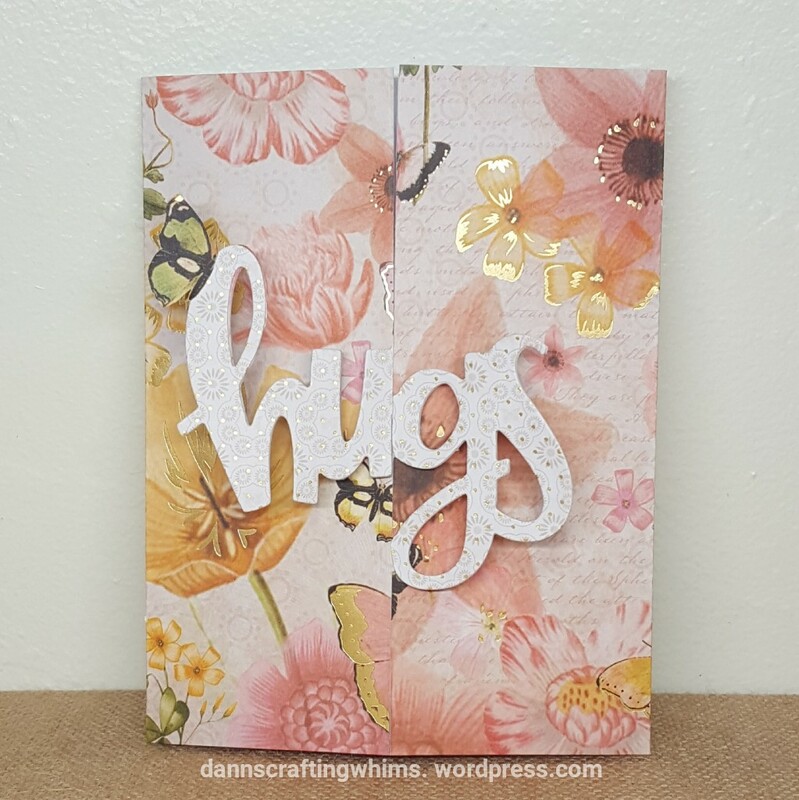 The ‘hu’ and ‘gs’ of the word hugs interlock to close the card. When you open it, there’s a bear inside and it says Big Hearts Deserve Big Hugs! Because I keep them close to my heart, the bear has the names of the family on his heart. Awww. With fall coming, as that felt bear gets ready to hibernate, he’s taking his treasures with him! I hand cut a little tail for the bear’s backside. Tip: I keep a bag for all felt scraps and thread pieces from art and sewing projects… they make great stuffing for small felt critters! … and closed again. Such a clever die! I always appreciate your kind comments! Thanks for taking the time to leave them!! Big, squishy bear hugs to you all! This entry was posted in Cards, Felt, Friendship Cards, Gift Packaging, Other Interactive Cards, Papercraft, Thank You Cards and tagged Big Hearts deserve Big Hugs, Concord & 9th Bear Hugs, Concord & 9th Cuddles & Hugs, Concord & 9th Hugs Card, concordand9th, DCWV, DCWV The Butterfly Garden, DIY felt Bear, Essentials by Ellen All Inside, Essentials by Ellen Bear Hugs, essentialsbyellen, Felt Bear, Fiskars, Fiskars Friends Forever quotes, Hugs, Interlocking gatefold card, Kunin Group ClassicFelt by dannscraftingwhims. Bookmark the permalink. What an adorable gift set, D.Ann. 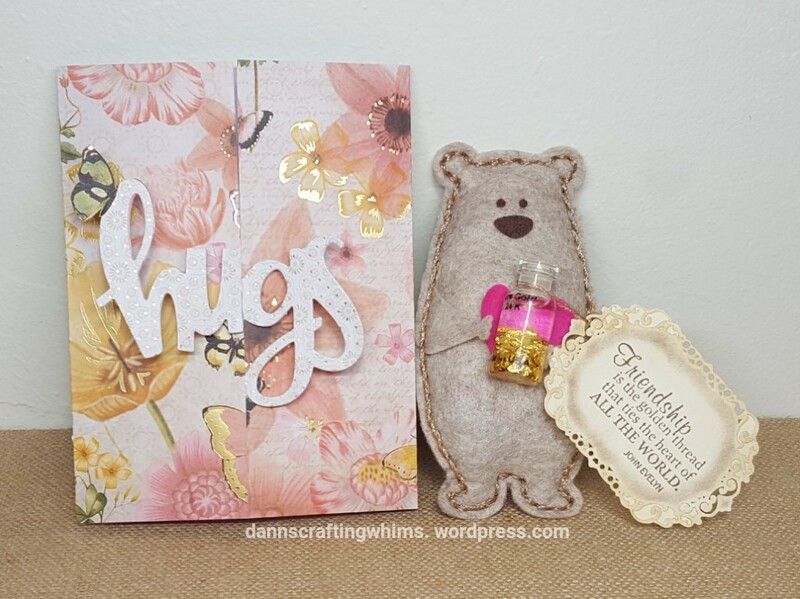 Love your card and that sweet little bear! Thanks for linking this up to the Cropstop blog this month! What a darling gift set! I’m sure it was much appreciated. 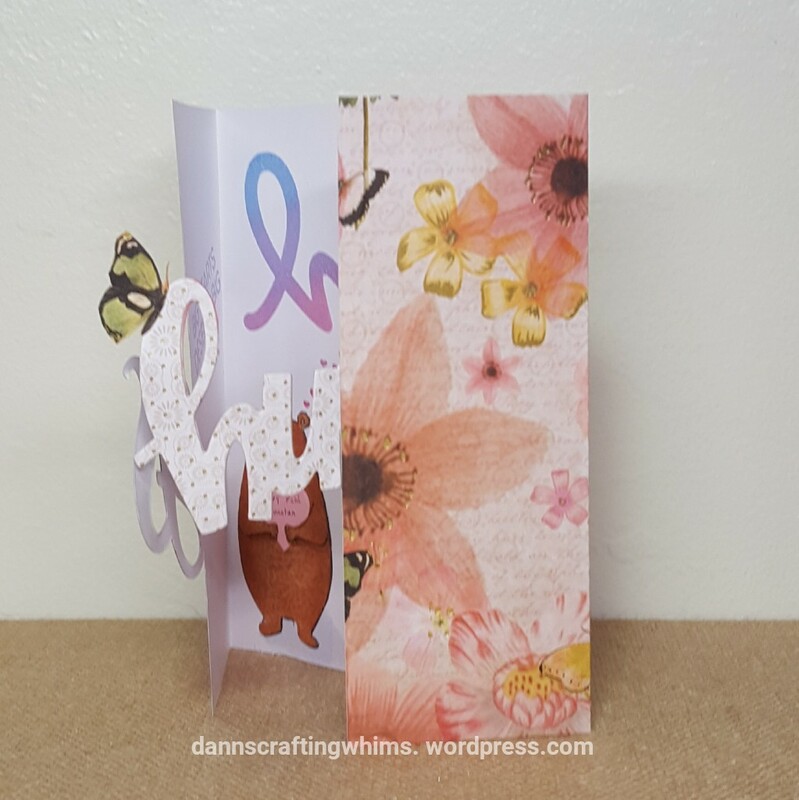 From the outside to the inside, your card is just fantastic and the handmade little bear is adorable. So glad you could join our Where Creativity Meets C9 Challenge this month! I saw this project on Instagram but had to come over for a closer look at all the details and now I’m even more impressed. 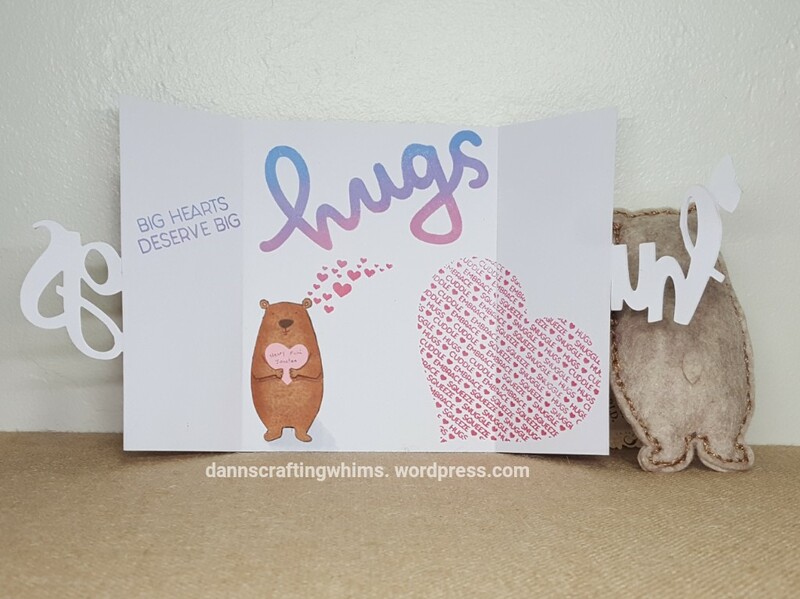 That darling little felt bear is so adorable on its own but when you combine it with the clever card…wow!! I’ve never seen a die like that which doubles as a card clasp, and the stamped heart and bear inside are the frosting on the cake. Actually, since it’s inside the card, I guess it’s the cream in the eclair, or the fluff in the Oreo cookies, or the…well…you get the picture. LOVE this! P/S: I have a real weakness for cute critters AND cute felt animals…so there’s that too! This is very very pretty. I love the bear, number one, he’s so adorable he makes me smile whenever I see him. 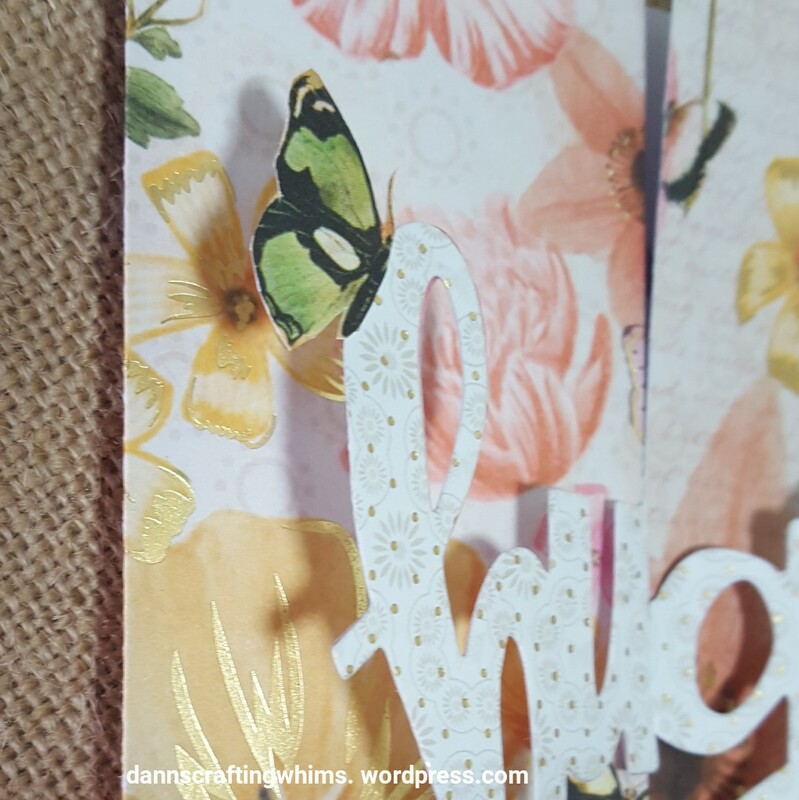 The muted colors of the patterned paper are lovely, and I adore the hugs cut from patterned paper. 🙂 Thank you so much for joining us at Where Creativity Meets C9!